Recently we borrowed a DVD from some friends of ours, then we subsequently lent that DVD to other friends, and upon retrieval of the much-lent movie, we all watched it again this week—and it was just as good as the first time! That DVD is God of Wonders from Eternal Productions, made by our friends at LaBarge Media. 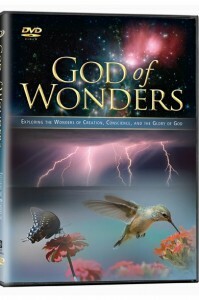 It’s got some incredible video footage and it’s an hour and half of learning about God’s amazing creation. We highly recommend. ← Previous Post Good (Competitive) Family Fun!